We dwell at length in the leader on gold and its major current influence, China. Suffice to say that the week ended with a gold fix below $1300, even as the Ukrainian impasse softened, perhaps, and Goldman Sachs stood by its $1050 target for year end. 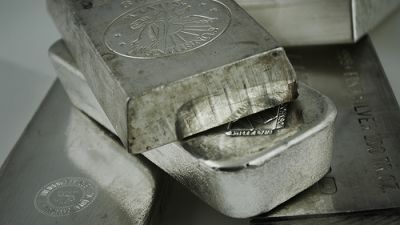 The RSA platinum debacle took on a new twist as we report below but the strength of the western economic revival confirms our support for a $1000 gold base and platinum to continue to coat-tail its big brother, if not slip to a discount. Its bull run ended in 2013 (when it slipped almost 30%). Its 10% recovery this year was based on Russia’s annexation of the Crimea and mixed US data. For this recovery to continue would require a sustained slowdown in US growth so we are looking primarily at safe-haven buying. Morgan Stanley concurs, with an expectation of falls in the price for the next four quarters. Now China is importing more, having taken in 109t in February 2014, an annualised 1308t, or 40% of world newly mined output. India, too, is suffering a shortage as import restrictions bite, but it is reported that in the jewellery export trade, silver is taking up the slack. Then to platinum. This would be comic, were it not tragic. Because RSA produces 80% of all newly mined output and of that 80% goes into industrial use, it is a user-metal, not a particular store of wealth. Three companies dominate output (c.75% of total) and are engaged in a bitter dispute with a militant union, AMCU. It has resulted in a strike, marred by violence and now in its 12th week. The gap between offered and demanded is large. Only last week, the companies hardened their stance, spoke of sitting it out and even walking away from their investments. It is heavy stuff. The largest, Amplats, a subsidiary of Anglo American, spoke of selling out. Now, in what might be read as a volte-face, they appear to have weakened. The union was demanding a 100% increase in the entry-level wage rate to $12,500/month ($1200), whilst two companies have now offered this progressively over 3 years. They have been cautious to add that they can “ill afford it”. We doubt AMCU will accept because it is going for the jugular. This is about more than wages. It is about black-on-white, BEE, electioneering and much more. WIM says: This one is Thursday’s child – it has far to go, but its outcome could have a profound effect on the country. Back in the real world, companies both established and new continue to exploit and develop their PGM resources both in RSA and elsewhere. Aquarius Platinum (LSA 40p; Hi-Lo 42.5-31.25) has closed three mines in RSA since 2011. It carries $298M in debt and its convertible notes had been hitting record highs. It has now announced a rights issue to repurchase up to 76% of these. A combination of a turbulent share price and selling down of assets do not make this an attractive proposition right now.